Here's a few pictures I took of my rusty trunk floor. They're mostly for the benefit of South Texas AMC (who will be supplying a replacement floor) but I thought you may get a kick out of them as well. 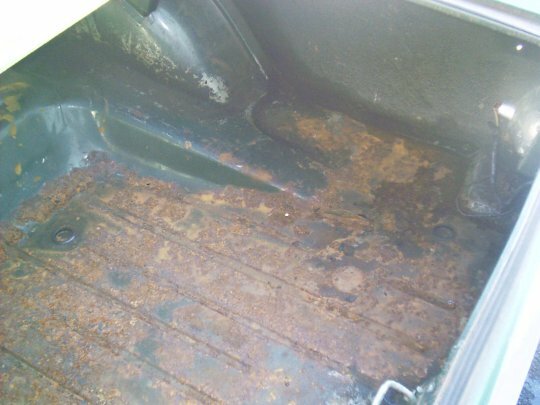 While this job may seem scary, keep in mind that it's really no different than replacing the floor in the passenger compartment (except for the fact that there's less room to work in). Here's the passenger side. 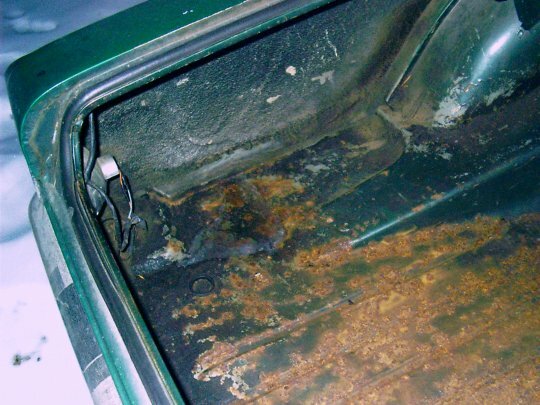 Every place you see a black spec or white is a rust hole. Here's the driver's side. Note the icy spot. Both tail lights leak and it had a rubber mat in it. 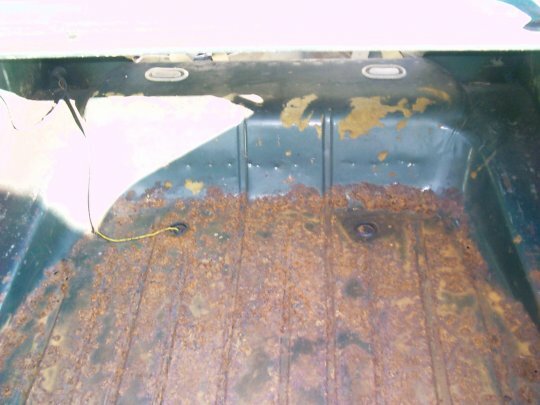 The rust follows the path of the water.